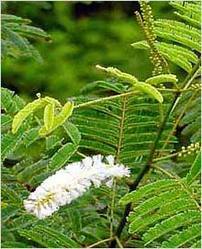 Habitat : Found in indian forests, upto the elevation of 1,500 m.
Uses : Bark of cutch tree is strong antioxidant, astringent, anti-inflammatory, anti-bacterial and anti-fungal in nature. It is useful in passive diarrhea, high blood pressure, dysentery, colitis, gastric problems, bronchial asthma, cough, leucorrhoea and leprosy. It is used as a mouthwash for mouth, gum, sore throat, gingivitis, dental and oral infections. Heartwood is used to yield concentrated aqueous extract i.e. cutch. Cutch (extract) is astringent, cooling, and digestive. It is useful in cough, diarrhea, ulcers, boils and eruptions of the skin. Decoction of bark is given internally in case of leprosy. Helps to cure pile when taken with lemon regularly.